Sometimes the website will put a temporary lock on your IP address in order to prevent malicious logins. 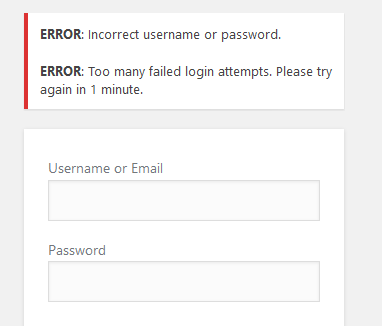 Try waiting a few minutes before logging in again. If you didn’t receive the email, please add wordpress@fcbd.com to your contacts and contact us to reset your password. If you’re still experiencing issues logging in, there are a few things that we need from you in order for us to help you better. Second, make note of any errors you may be receiving on the login form. Taking a screenshot of the web browser where the error occurred will be most helpful. Upload any screenshots to Paste Board and copy the link in the comments field.